Images: (1) Stan Douglas, Powell Street Grounds, 28 January 1912, 2008. Digital C-print mounted on Dibond aluminum. Courtesy the artist and David Zwirner, New York. 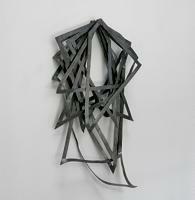 (2) Karla Black, Practically in Shadow, 2013. Plaster powder, powder paint, florist foam, bath bombs, nail varnish, polythene, thread, cellophane, sellotape. Courtesy the artist. 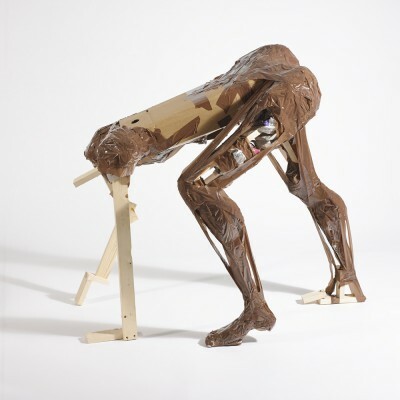 There are several exhibitions throughout the year that draw from the IMMA Collection. In the spring we present Fragments, with works from Aleanna Egan, Ronan McCrea, Alan Phelan, Camille Souter, GILBERT & GEORGE, Nigel Rolfe, Marina Abramovic, Brian O’Doherty and Kenneth Hall. This will be followed in November with artist Nick Miller’s response to the Edward McGuire studio, part of the IMMA Collection, in Meetings: Into the Studio of Edward McGuire. A concurrent exhibition, Approaches to Paper, will explore the practice of celebrated Irish Modernists such as Evie Hone and Mainie Jellett to contemporary artists such as Antony Gormley, Andrew Folan and Kiki Smith. Our new festival Summer Rising, which was such a success last year, will return in June with more art, music, performance and food events designed to open up the beautiful buildings and grounds of IMMA, day and night. 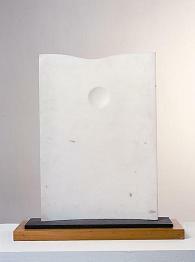 2) Gerda Frömel, Moon and Hill, 1971, Alabaster, Collection Irish Museum of Modern Art. This exhibition will be the first contemporary retrospective of Gerda Frömel, an artist who was born in Czechoslovakia in 1931 as the daughter of German parents but who moved to Ireland in 1956. An incredibly well regarded artist during her lifetime, her work is no longer well known and has not been on exhibition since a 1976 retrospective at the Hugh Lane Municipal Gallery of Modern Art, Dublin the year after her untimely death. This exhibition seeks to bring new work to light and to reinstate Frömel as a modern Irish master. This will be the first Irish solo exhibition of Portuguese artist Diogo Pimentão. Timed to coincide with Gerda Frömel, Diogo’s practice seeks to open the horizon of the drawing and its conventions to other dimensions, other processes and other tools. This exhibition borrows its title from Philosopher Walter Benjamin’s comparison of the work of translation to re-assembling fragments of a broken vase – the individual fragments must come together, but need not be like each other. This could also be taken as an allegory for exhibition making, or collecting. Karla Black is regarded as one of the pioneering contemporary artists of her generation. Experimenting with ways to float material, form and colour at eye level remains a constant preoccupation in Black’s work. This preoccupation will form a key thread in the exhibition at IMMA, which will present Black’s extraordinary creative output through a series of new works tailored for the spaces here, revealing the artist’s free, experimental way of working combined with a careful aesthetic judgement. We are delighted to present this major exhibition presented in collaboration with Kunsthaus Munich and Musée d’Art Contemporain de Nîmes. The exhibition focuses on Douglas’s recent photography, including the critically acclaimed series, Malabar People, Mid Century Studio and Disco Angola. The exhibition will include his major new film work Luanda Kinshasa. 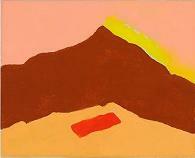 Poet, artist and writer Etel Adnan was born in 1925 in Beirut and currently lives between California and Paris. Adnan studied literature at the Sorbonne, Paris, and philosophy at U.C Berkeley and Harvard. In 1984, she worked with Robert Wilson on his opera CIVILwarS and has exhibited internationally. Her recent publications include Master of the Eclipse (2009), Seasons (2008), In the Heart of the Heart of Another Country (2005), and In/somnia (2002). What We Call Love asks what does love mean in a society based more and more on individualism and consumption? How has the concept of love in the twentieth century evolved over time, and in what sense does it permeate art, from Surrealism to now? How does art represent love and what does it tell us about what love means in our contemporary culture? 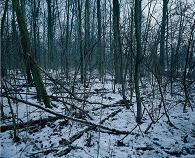 Shot at Dawn is a new body of work by the British photographer Chloe Dewe Mathews that focuses on the sites at which British, French and Belgian troops were executed for cowardice and desertion between 1914 and 1918. The project comprises images of twenty-three locations at which the soldiers were shot or held in the period leading up to their execution. All are seasonally accurate and were taken as close as possible to the precise time of day at which the executions occurred. 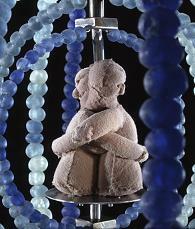 IMMA presents an exhibition by one of Ireland’s most respected artists; Grace Weir. The exhibition will focus on a number of new works that will be supplemented by complementary existing works that span over 20 years of Weir’s creative output. She represented Ireland at the 49th International Venice Biennale and has exhibited widely both nationally and internationally, and is currently Artist-in-Residence in the School Of Physics, Trinity College Dublin. This IMMA Collection exhibition, Approaches to Paper, explores the practice of celebrated Irish Modernists such as Evie Hone and Mainie Jellett to exemplary contemporary artists such as Antony Gormley, Andrew Folan and Kiki Smith. Admission is free to all 2015 exhibitions with the exception of What We Call Love.